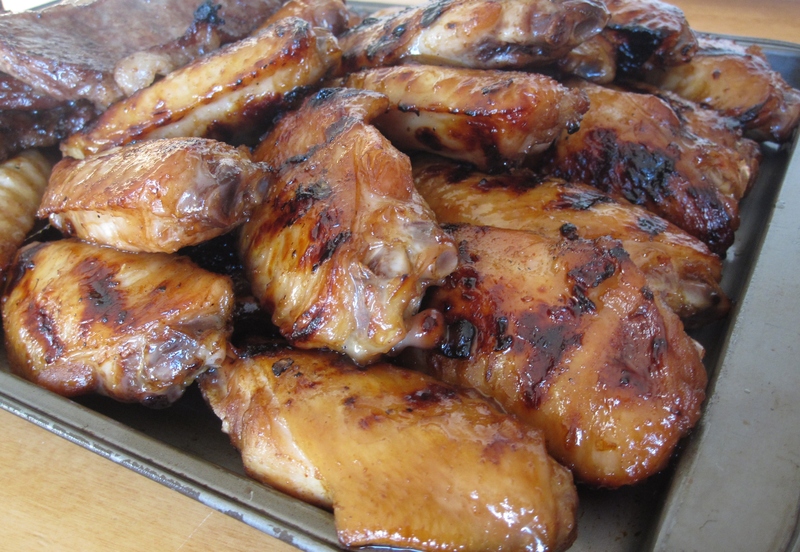 In Malaysia, whenever people have a BBQ party, chicken wings is always on the menu. The wings are always marinated with ginger juice, shallots, garlic and other seasoning. I LOVE these charcoal grilled wings, they are sizzling on the skin (the best part! ), juicy and full of flavor… so finger licking good! Clean and rinse chicken wings. Mix all remaining ingredients in a big bowl or bag to combine. Add chicken wings, mix to coat every pieces. Marinate in the fridge overnight. Turn over once during marinating. Heat grill on medium high heat. When the grill is ready, put chicken wings on the grill. Grill until the wings are just cooked through. Baste with cooking oil to prevent the wings from sticking to the grill. Keep an eye on the wings, turn down the heat slightly if necessary. Do not over cook the meat or the meat will be dry. Serve immediately. Mid joint is always my favorite part of the wing because it marinates and cooks much faster than drummets. And as such, I use medium high heat when grilling mid joints. If you use drummets, you’ll need to turn down the heat on the grill a little to ensure the meat is cooked through without burning the surface.